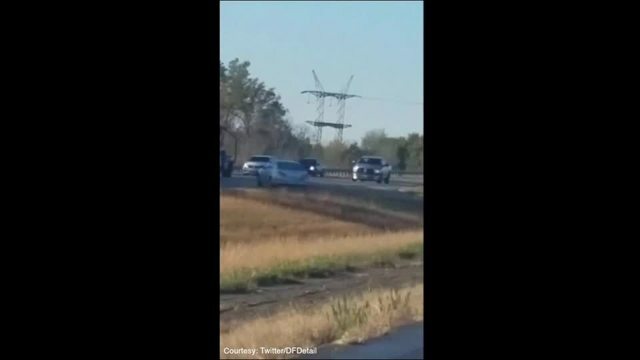 A 10-year-old boy led Ohio State Highway Patrol troopers on a chase reaching 100 mph Thursday morning and authorities say it's not the first time he's taken the family car. The 10-year-old was charged with fleeing and eluding, a third-degree felony, according to Erie County Prosecutor Kevin Baxter. Due to the previous incident involving the minor in Cuyahoga County, the case will be bound over and Cuyahoga County will prosecute both cases as a "continuing course of conduct," Baxter said. According to police, the boy took the family's vehicle from their home on Hadley Avenue around 9 a.m. His father reported is missing. Around 9:15 a.m., a driver called to report that the car was being chased by another red vehicle, possibly the boy's mother. Three Westlake officers tried to stop the boy as he drove through Lorain and Erie counties, sometimes reaching speeds of 96 mph. The Ohio State Highway Patrol took over the chase once the boy entered the Ohio Turnpike. Troopers attempted to stop the vehicle by boxing it in and putting stop sticks out, but the boy avoided them by driving through a ditch. The boy attempted to re-enter the road but it became stuck in a ditch, causing the chase to end at the 121-mile post in Erie County. As the boy was taken into custody, he attempted to spit in several troopers' faces, kicking one in the chin, according to the Ohio State Highway Patrol. This is the second time the child took his mother's car for a joy ride. On Oct. 16, the boy's mother said her Dodge Charger was stolen from her driveway. The boy was found driving with three flat tires in the high-speed lane on I-90 eastbound near West 117th Street. The boy said he was bored and decided to take the car for a ride, according to the police report.